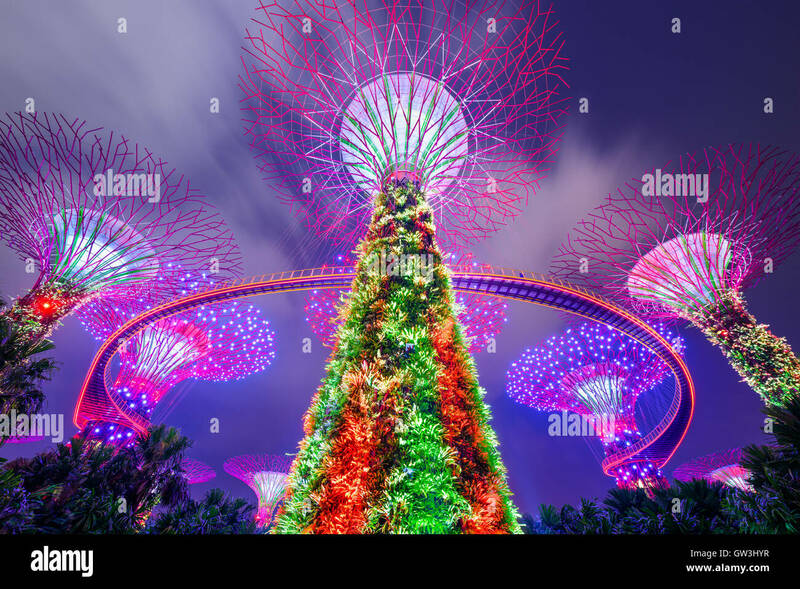 Supertrees at Gardens by the Bay in Singapore. 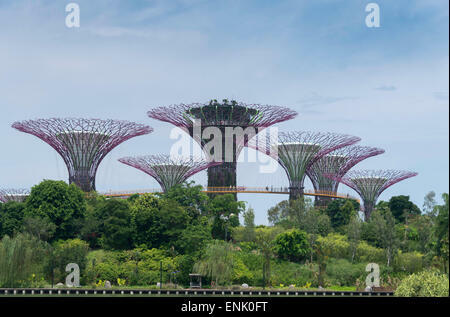 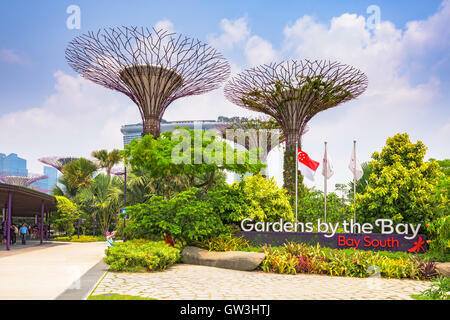 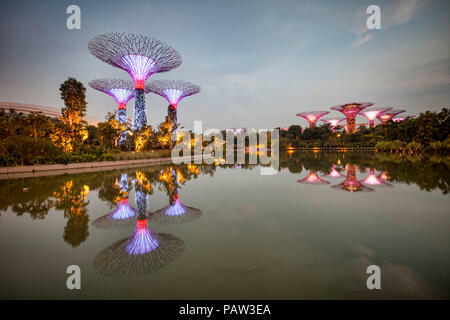 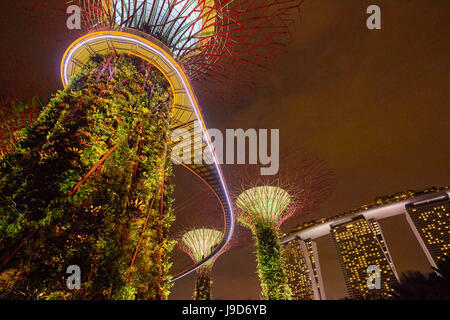 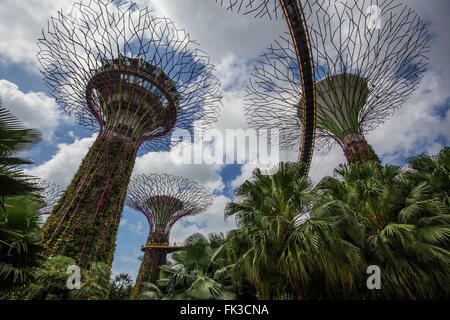 SINGAPORE - SEPTEMBER 5, 2015: Supertrees at Gardens by the Bay. 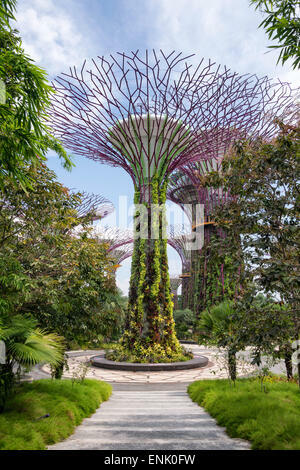 The tree-like structures are fitted with environmental technologies that mimic the ecological function of trees. 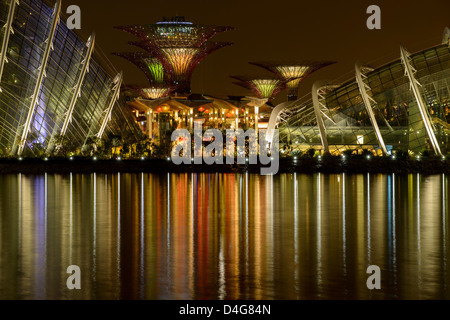 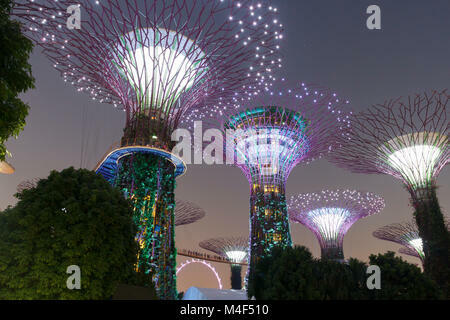 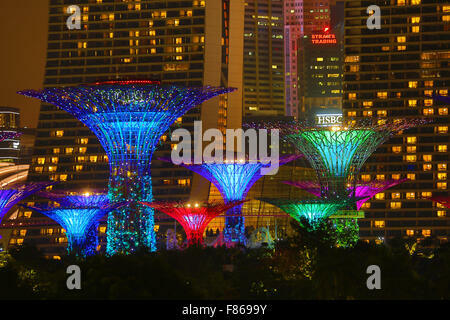 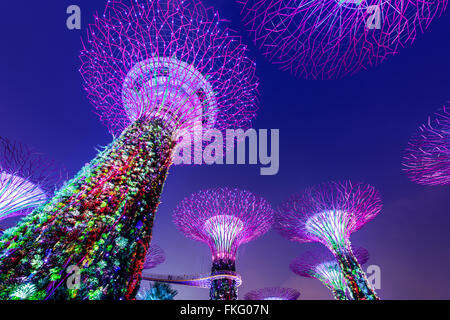 Supertrees, Singapore, illuminated at twilight and reflected in Dragonfly Lake, Gardens by the Bay. 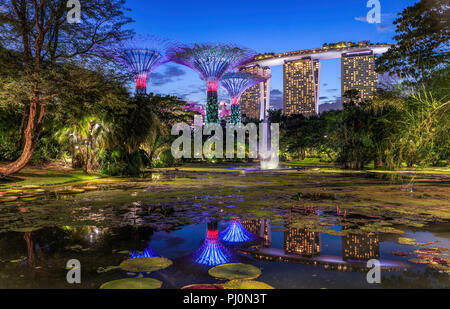 The Waterlily Pond at Gardens By the Bay, Singapore. 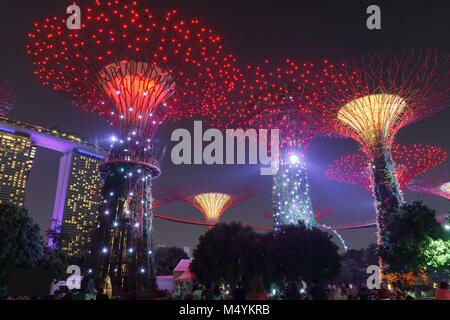 Supertree grove at Gardens by the Bay in Singapore lit up at night.